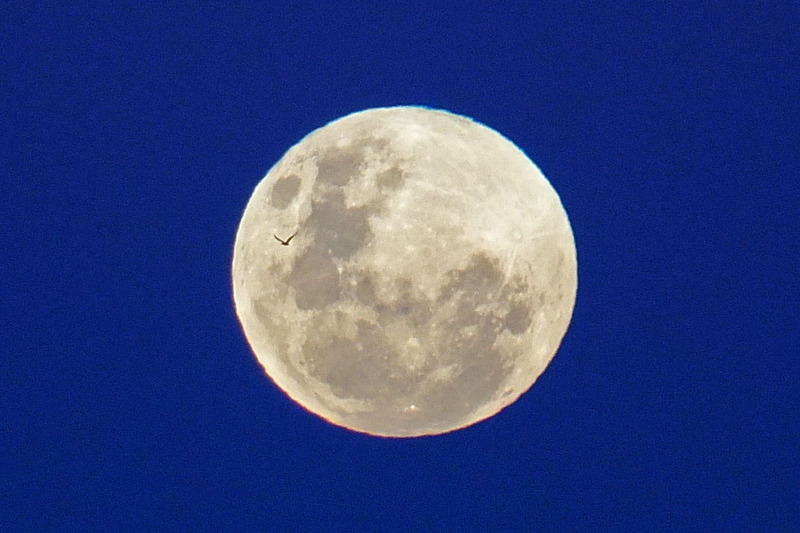 1- Taken at 5:30pm shortly after moon-rise, this image happens to also show a bird flying across the face of the moon. 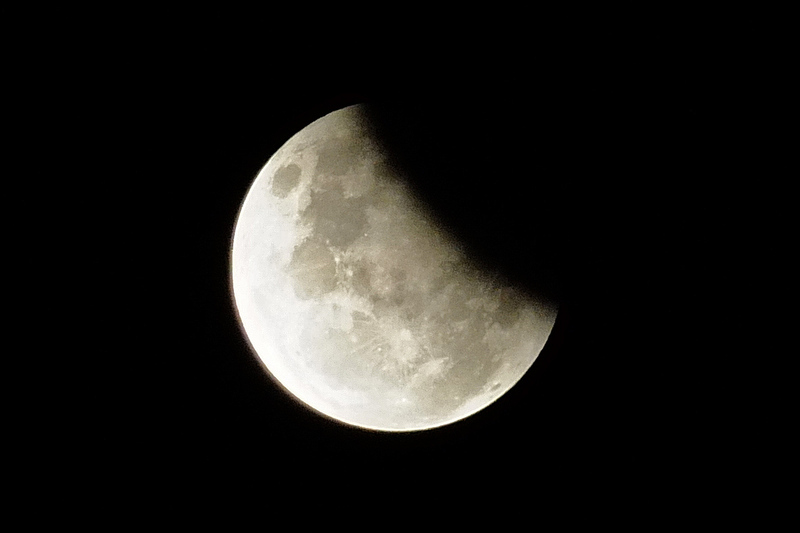 2- Taken during the eclipse at 9:30pm, this image shows the partial eclipse in progress. Didn't know about the partial eclipse and wouldn't have been able to see it anyway Phil — too much cloud cover. Lucky catch getting the bird in the shot!